New Age spirituality is characterized by an individual approach to spiritual practices and philosophies, while rejecting religious doctrine and dogma. It combines aspects of cosmology, astrology, esotericism, alternative medicine, music, psychology, and philosophy. Yet New Age spirituality is very hard to pin down or categorize. There is no particular dogma, central organization, or particular leader. It's truly an amalgam of various ideas and leaders and if asked a follower would be hard pressed to name any one belief system they prescribe to. At best, most would say the are just seeking "the truth" wherever they can find it. The New Age Movement includes elements of older spiritual and religious traditions ranging from atheism and monotheism through classical pantheism, naturalistic pantheism, and panentheism to polytheism combined with science and Gaia philosophy. In many ways, elements of psychology and philosophy play a major role in its belief systems — existential philosophy and jungian psychology in particular. 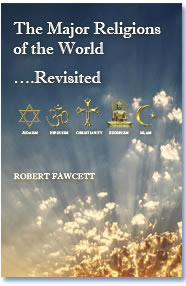 New Age practices and philosophies sometimes draw inspiration from major world religions. Buddhism, Chinese folk religion, Christianity, Hinduism, Islam, Judaism and particularly strong influences from East Asian religions are important ingredients to these practices. The modern New Age Movement emerged as a distinct lifestyle from the late 1960s through the early 1970s, although elements can be traced back to the 19th and early 20th centuries. It gained momentum in the 1980s and strengthened with the Harmonic Convergence event in 1987. 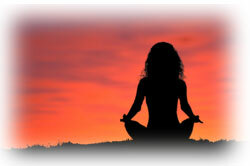 Diverse individuals from around the world practice New Age spirituality. In many ways the hippie counter culture movement of the 60s and 70s, through it's use of psychedelic drugs, became heavily involved with new age spiritual thought. The tone of religious and spiritual experimentation of the times contributed heavily to people's openness to trying new approaches to God and spirituality. It was not uncommon for hippies to take whatever part of any religion it felt offered truth and combine it with others to create a spiritual smorgasbord. 11% believe that God is "a state of higher consciousness that a person may reach"
8% define God as "the total realization of personal, human potential"
3% believe that each person is God. A longitudinal study from 1991 to 1995 shows that New Agers represent a steady 20% of the American population, and are consistently the third largest religious group. The term New Age was used as early as 1809 by William Blake who described a belief in a spiritual and artistic "New Age" in his preface to Milton: a Poem. The Freemasonry journal of the 1800s was titled The New Age. Some of the New Age Movement's constituent elements appeared initially in 19th century metaphysical movements. Spiritualism, Theosophy, and New Thought and also, alternative medicine movements chiropractic and naturopathy. These movements in turn have roots in Transcendentalism, Mesmerism, Swedenborgianism, and various earlier Western esoteric or occult traditions, such as the hermetic arts of astrology, magic, alchemy, and Kabbalah. A weekly journal of Christian liberalism and socialism titled The New Age was published as early as 1894. It was sold to a group of socialist writers headed by Alfred Richard Orage and Holbrook Jackson in 1907. Other historical personalities were involved including H. G. Wells, George Bernard Shaw, and William Butler Yeats. The magazine became a forum for politics, literature, and the arts. Between 1908 and 1914, it was instrumental in pioneering the British avant-garde from vorticism to imagism. After 1914, publisher Orage met P. D. Ouspensky, a follower of G. I. Gurdjieff, and began correspondence with Harry Houdini, becoming less interested in literature and art, with an increased focus on mysticism and other spiritual topics. Early 20th century writers such as D. H. Lawrence and William Butler Yeats influenced the movement. In the early to middle 1900s, American mystic, theologian, and founder of the Association for Research and Enlightenment Edgar Cayce was a seminal influence on what later would be termed the New Age Movement. He was known in particular for the practice some refer to as channeling. Carl Gustav Jung, the noted psychologist, was an early proponent of the concept of the Age of Aquarius. In a letter to H. G. Baynes, dated 12 August 1940, he wrote in a passage concerning the destruction of the temple of Karnak by an earthquake in 26 BC. As he said "1940 is the year when we approach the meridian of the first star in Aquarius. It is the premonitory earthquake of the New Age." The subculture that would later take on the descriptive term New Age already existed in the early 1970s, based on and continuing themes originally present in 1960s counterculture. Widespread use of the term New Age began in the mid 1970s (reflected in the title of monthly periodical New Age Journal) and probably influenced several thousand small metaphysical book and gift stores that increasingly defined themselves as "New Age bookstores". As a result of the large-scale activities surrounding the Harmonic Convergence in the mid 1980s – the term was further popularized by the American mass media to describe the alternative spiritual subculture – including practices such as meditation, channeling, crystal healing, astral projection, psychic experience, holistic health, simple living, and environmentalism. Environmentalism is the belief in phenomena such as Earth mysteries, ancient astronauts, extraterrestrial life, unidentified flying objects, crop circles, and reincarnation. A range of New Age publications appeared by the late 1980s such as Psychic Guide (later renamed Body, Mind & Spirit), Yoga Journal, New Age Voice, New Age Retailer, and NaPRA ReView by the New Age Publishing and Retailers Association. Hair: The American Tribal Love-Rock Musical (1967) with the opening song "Aquarius" and its memorable line "This is the dawning of the Age of Aquarius"
And the Harmonic Convergence (1987) organized by José Argüelles in Sedona, Arizona. Also influential were the claims of channelers Jane Roberts (the Seth Material) and J. Z. Knight (Ramtha), as well as revealed writings A Course in Miracles (1976) by Helen Schucman, The Celestine Prophecy (1993) by James Redfield, and Conversations with God (1995) by Neale Donald Walsch. Relevant works also include the writings of Eckhart Tolle, Barbara Marx Hubbard, Marianne Williamson, Deepak Chopra, John Holland, Gary Zukav, Dr. David R. Hawkins and Wayne Dyer. Also, The Secret by Rhonda Byrne, which was based on the writings of Esther Hicks and Jerry Hicks. Many of the beliefs and practices of New Age adherents are not unique to the movement and often come from other religious, psychology, or cultural ideas. Here's just a small sampling of some of the major concepts within the movement. There is a general and abstract idea of God, which can be understood in many ways; seen as a superseding of the need to anthropomorphize deity. Some see God as both transcendent (outside of us) and immanent (inside of us). Spiritual beings Gods, angels, Ascended Masters, elementals, ghosts, faeries, Spirit guides and extraterrestrials can spiritually guide a person, if they open themselves to their guidance. Consciousness persists after death as life in different forms; the afterlife exists for further learning through the form of a spirit, reincarnation and/or near-death experiences. There may be a belief in hell, but typically not in the traditional Christian sense or Islamic sense of eternal damnation. Universalist views of the afterlife are common. This spiritual law says that we attract joy or sadness, success or failure, love or non-love by asking for it and therefore attracting it into our lives. From Buddhist and Hindu beliefs, karma is the "lesson plan" that accumulates as a result of good and bad choices we make. Bad choices must be reconciled to achieve higher levels of consciousness. The current time period is claimed by some astrologers to be the dawning of the Age of Aquarius correlated to various changes in the world and some claim that the early 1960s was the actual beginning of the Age of Aquarius, though this claim is highly contentious. Common claims about the developments associated with the Age of Aquarius include, but are not limited to, human rights, democracy, innovative technology, electricity, computers, and aviation. 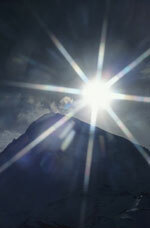 Esoteric claims are that the Age of Aquarius will see a rise in consciousness. Taken from Hindu and Buddhist beliefs, the concept of a transcendence of our ego is central to many New Age beliefs. Thus the higher Self is able to take over from the lower self and no longer needs to identify with the idea of a separate personality or identity. In New Age thinking, the ego is our false view of ourselves as body or personality which must be transcended to achieve the stage of Enlightenment in this life. Again, taken from Hindu/Buddhist beliefs, the idea that we live many lives on our way to Enlightenment and back to God realization. Horoscopes and the Zodiac are used in understanding, interpreting, and organizing information about personality, human affairs, and other terrestrial matters. Life has a purpose; this includes a belief in synchronicity—that coincidences have spiritual meaning and lessons to teach those whom are open to them. Everything is universally connected through God and participates in the same energy. There is a cosmic goal and a belief that all entities are (knowingly or unknowingly) cooperating towards this goal. Children are being born with a more highly developed spiritual power than earlier generations. There are opportunities to learn about one's self and relationships are destined to be repeated until they are healthy. An important aspect of perception – offset by a somewhat strict rationalism – noted especially in the works of psychologist Carl Jung. Positive thinking supported by affirmations will achieve success in anything; this is based on the concept that Thought Creates. Therefore, as one begins focusing attention and consciousness on the positive, on the "half-filled" glass of water, reality starts shifting and materializing the positive intentions and aspects of life. A certain critical mass of people with a highly spiritual consciousness will bring about a sudden change in the whole population. Humans have a responsibility to take part in positive creative activity and to work to heal ourselves, each other and the planet. The human mind has much greater potential than that ascribed to it and is even capable of overriding physical reality. Humans have potential healing powers, such as therapeutic touch, which can be developed to heal others through touch or at a distance. This is just a fraction of what the New Age Religious Movement is about. If you would like to keep in touch with the latest news on the major religions, sign-up for our newsletter. The claim of this monism is that there is one final ultimate substance. I t may be mind, matter, or some third thing that is some combination of both . Various New Age isms are drawn to its kind of thinking. In many ways the hippie movement of the 60s and 70s, through it's use of psychedelic drugs, became heavily involved with new age spiritual thought. The tone of religious and spiritual experimentation of the times contributed heavily to people's openness to trying new approaches to God and spirituality. It was not uncommon for hippies to take whatever part of any religion it felt offered truth and combine it with others to create a spiritual smorgasbord. Copyright 2008-2010 WRF Publishing. All rights Reserved.